Welcome to the Rockwood High Wall Series. We have designed this series for the camping family who wants the refinement of larger vacationing units in a light-weight camper. 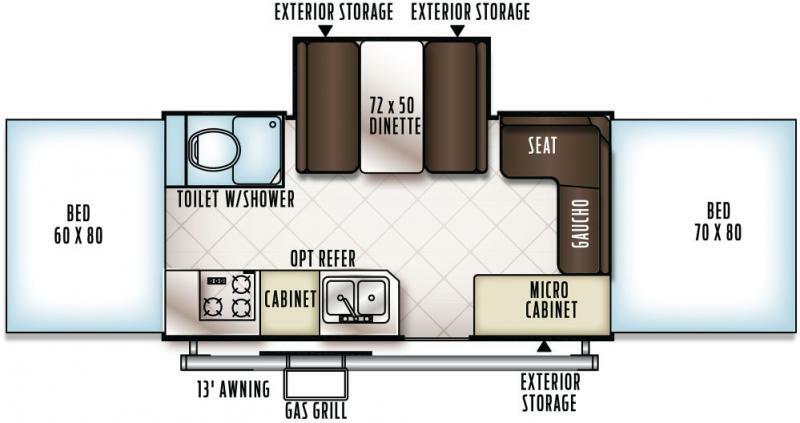 Ample counter space, upgraded appliances, convenient pull-up curtains providing a wide view of the surroundings and tasteful interiors make this camper a gorgeous option to experience.